Almost three years ago, I decided to take control of my health: Lose weight, eat right, be healthy. Success! I'm down 70 pounds, off all medications and eat vegetables I previously couldn't pronounce. I did it the old-fashioned way (with some present-day help!) — I now eat less, exercise more, watch my diet and get more sleep. Was it easy? No way. Worth it? Oh, yeah! Americans spend more than $60 billion each year on dieting and 50 percent of Americans say they are actively trying something to lose or maintain their weight. The average person makes four attempts a year to lose weight — with 95 percent failing and gaining the weight back within five years. With so many people failing, what was my secret? A number of iPhone apps helped me achieve my health goals. Studies have shown that it takes 21 days to create a new habit or break a bad habit. But most people have a hard time sticking with something for three weeks. That's where technology comes in, powered by the concept of "gamification" — using game theory and tactics to incent people and improve engagement. A proliferation of apps and devices now helps connect you to your health — from tracking your activity and sleep to counting calories and the nutritional breakdown of what you eat. My secret was Lose It!, an iPhone app that allows me to track calories and exercise. Lose It! made a “game” out of my health — my challenge was to always have a "green" day (good!) and never have a "red" day (bad!). And I was rewarded regularly with achievement badges (think Boy Scout merit badges) congratulating me on my incremental achievements (I have earned 43 with four to go!). And it got better. Lose It! doesn't work alone — it's part of a bigger and burgeoning health data ecosystem. The app ties in with my Nike+ running app and my Nike+ GPS watch that I wear while running to automatically add those miles and "positve calories" to my log. 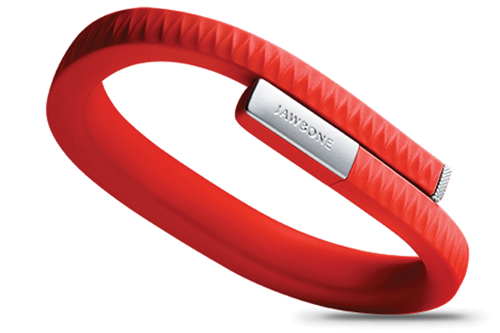 It also ties in with my Jawbone UP, which tracks my all-day movement and my sleep. Together, these apps and devices give me a sharper picture of my overall health and suggest ways to maintain or improve. And there are social functions I can share with my family and friends so they can continue to encourage me. Gamification has long been successful outside of health care to incent users to make purchasing decisions — buy more, get discounts, gain an elite status level or join a premium club. Now health care is harnessing gamification for patient engagement. Apps like Lose It! and devices like the Jawbone UP, Nike+ FuelBand and FitBit do it at the individual level — you are largely "playing" against yourself and your own goals. But gamification's real power may be at the community level — bringing together groups of people, through the power of technology, social media and support groups, to make tangible health changes. A great example is NBC's "Biggest Loser" show, which has encouraged many communities to "lose weight together" (see what they are doing in Fall River, Mass.!). As we move squarely toward preventive care, gamification at the community level can support greater engagement and encouragement. You are no longer in this alone — the group is counting on your contribution to achieve a collective goal. Gamification challenges, encourages and supports its users. They become winners — and so does their community and your health system. And, returning to my own story, here's a bonus secret: A 15-plus minute walk after dinner — every night and in addition to your regular exercise regimen — will do splendid things for your metabolism! RUN! Zombies are chasing you!